10 S. William, Mount Prospect. 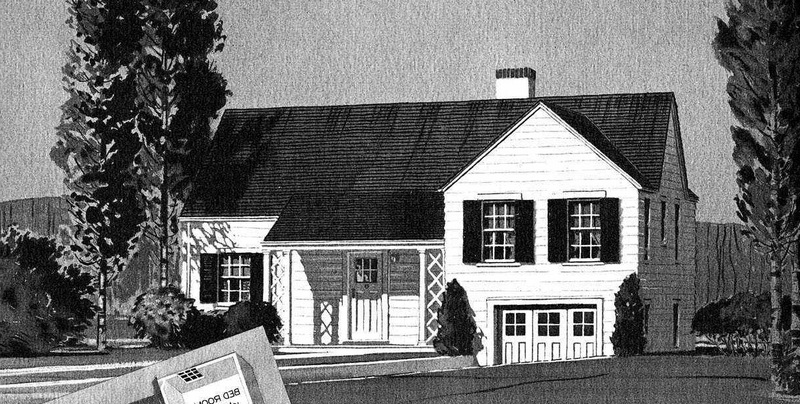 Sears Homestead, from the 1940 Modern Homes catalog. We usually think of split-level homes as a mid-century phenomena. In 1975, for instance, 21% of new houses built in the Midwest were of split-level design. The most famous split-level house of all time. The Homestead model was an innovative design for Sears. First featured in the the 1933 Modern Homes catalog, the Homestead is one of the earliest examples of a split-level house. The Homestead has a below-ground garage and utility room. 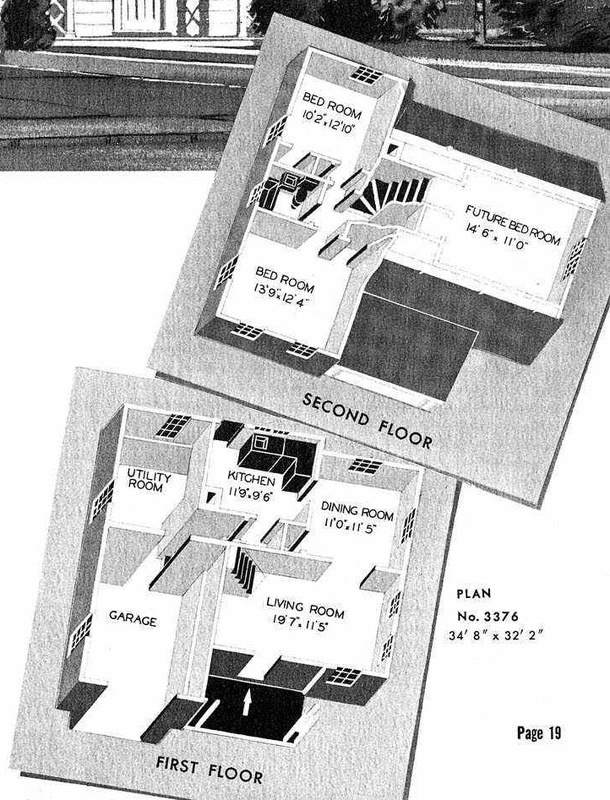 The bedrooms are a half story above the first floor. The Homestead in Mount Prospect was built in the fall of 1932. On October 4 of that year, Henry Bomer Heintz applied for a building permit with the village. Henry was a carpenter, and he and his wife, Alma, were in the house until 1940. By May 1942, O.C. and Emma Schuerger had moved in. Another Homestead at 820 Park Plaine, Park Ridge.